Sustained success is achieved when an extension organisation or project, attracts and retains the confidence of end users (customers) and it’s other stakeholders. 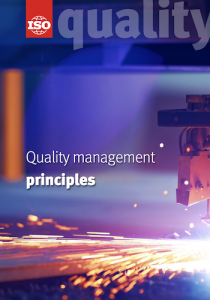 The use of Quality Management Principles can help extension projects put together a framework and processes, to help efficiently achieve project objectives. They help provide discipline and achieve repeatability. Each principle will have varying degrees of importance, depending on the nature of the organisations and extension projects involved. There is a guide, which provides a description of each principle, why it is important, the benefits associated with the principle and typical actions that can be taken that can be used to improve performance, when the principle is applied. Customer Focus (QMP 1) – Meet customer requirements and exceed their expectations. Leadership (QMP 2) – Leaders establish unity of purpose and direction and create conditions in which people are engaged in achieving the required objectives. Engagement of people (QMP 3) – Competent, empowered and engaged people, at all levels are essential to enhance the capability to create and deliver value. Process approach (QMP 4) – Processes that function as a coherent system, produce consistent and predictable results. 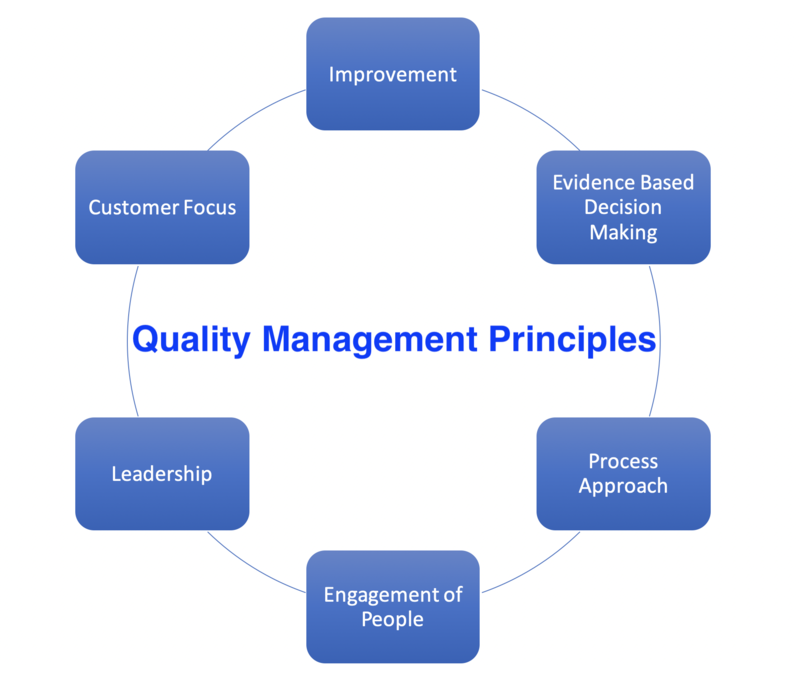 Improvement (QMP 5) – Successful organisations have an ongoing focus on improvement. Evidence-based decision making (QMP 6) – Decisions based on the analysis and evaluation of trusted information and reliable data, are more likely to produce the desired outcomes. Relationship management (QMP 7) – Sustained success requires the successful management of relationships with all key stakeholders. The principles above, are not listed in priority order and details on each principle can be found in the guide. A principle is a fundamental truth or law and therefore quality management principles are the fundamental truth or laws that form the basis of quality management. The principles were developed and are updated by international experts that are members of a Technical Committee (TC 176) of the International Organisation of Standardisation (ISO). International Standards are devised to provide world-class specifications for products, services and systems; to ensure their quality, safety and efficiency. They are particularly important in facilitating trade between countries. The approach was founded in 1947 and today has members from 162 countries and has 785 technical committee and sub-committees.